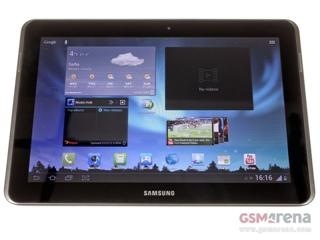 Folks at GSMarena have got their hands on the new Galaxy tab 10.1 tablet and they agree that it is not very different from its predecessor. However, it does include some notable changes like the ability to record full 1080p video. Its 10.1 inch screen packs 1280 x 800 pixels which is pretty impressive. Viewing angles are said to be very good. There are two speakers, both of which are loud enough to share a video with your friend sitting next to you. Powered by a massive 7000mAh battery, it will give you enough power to easily last you few days of heavy use. Keep in mind that there are two models in Tab 2 range – first is this and second is Galaxy Tab 2 7.0 tablet which also works as a phone.